Our mission is to provide high quality, top-notch education for children and families. We lead families back to their birthright of complete health, abundant lives, well-being, sense of community, unbounded happiness, limitless joy, constructive coping skills, and a firm foundation with deep roots. Our vision is that all students will enjoy their educational experience. We know our core values that protect the sacredness of childhood will also include developing in students: the ability to recognize their intuition, develop and maintain wellness, kindness, compassion, empathy, healthy food choices, be solution seekers, community members, advocates and voices for those in need, aware of their truest self, inclusive of all their peers and problem solvers. Our students are resilient, challenged academically and personally, as well as supported through the growth mindset approach. Give children opportunities to master social skills, healthy eating, academic skills, and the foundation for a joyful life through our unique longer term educational style. To meet these goals, we’ll offer continuity of care, a consistent environment through all grade levels, and ample time to explore and delight in the splendor of life. Our school as a whole will focus on each student doing better each day than they did the day before. Rather than competing against class mates, they’ll learn to support and build each other up. Let it become the norm in education that the students learning to build each other up and fill each other’s “buckets” is the way to repair our society as a whole. Our students will quickly learn to recognize anyone that is a “bucket dipper” as a peer who needs encouragement and support. Our students will learn to get to the root cause of an issue and support it from the bottom up to ensure actual long term positive change. 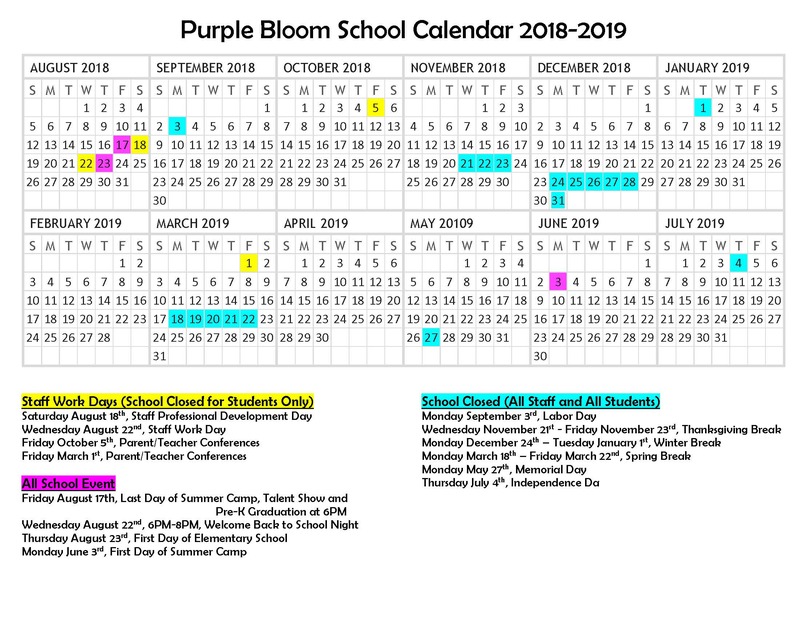 Positive behavior methods including PBIS will be used at Purple Bloom School to meet our goals of serving every child to create a love for life-long learning.